What are the references of Astrology in Ramayana and Mahabharata? What is the Key ingredient of Success? Q – Seema Verma, Hyderabad, India – What all plants bring peace and prosperity in home or we should grow in our kitchen garden? Q – Amy, California, USA – We always hear stories about Hindu saints who have achieved spiritual powers but never met anyone or haven’t seen them on any public platform or in media? Q – Harshit Sharma – Delhi, India – I have analyzed the meaning of most of the mantras they are quite simple prayers, so can’t we just say it in our normal day today language or any other foreign language? Q – Jyoti Arora – Ludhiana, Punjab, India – I don’t believe in any of these sciences like Astrology, Palmistry, Numerology, Vaastu etc? Should I believe in them? Q – Audrey Liere, Netherland – Is ‘Mole’ on a palm beneficial? Q – Steve B. Jones, Charlotte, USA – Can we calculate if the person is indulged in any sort of drugs, inebriety, tipsiness, inebriation etc.? Q – Satyajit, Kuala Lumpur, Malaysia – I have to travel for business to eastern part of our country so which day should I prefer for this journey? 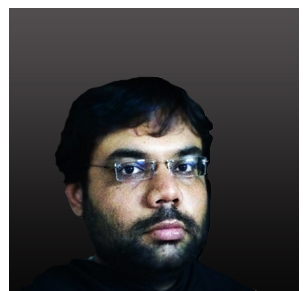 Q – Mayank Maharaj, Mumbai, India – Do I need to be ‘Vegetarian’ to attain spiritual growth? Q – Isabella, Yorkshire, UK – Are cats responsible for bad omen?